A strong immune system adapts quickly to new evidence of illness and disease, especially when travelling to a new climate or when the seasons change, but a weak immune system will be sluggish and fail to spot and react to the arrival of a newly mutated group of viruses. How Can You Tell if You Have a Weakened Immune System? Fatigue and lethargy are common symptoms, but they can also relate to a wide range of other health issues – a tired person is not necessarily a person with an impaired immune response – however, if tiredness is experienced alongside repeated minor infections and viral problems such as coughs and colds and flu, plus slower than usual healing from wounds like small cuts and grazes and experience of oral or vaginal thrush, cold sores and mouth ulcers, it’s almost certain that your immune system is not at peak function. We’ve all heard that vitamin C can help us fight off a cold, or recover faster if we succumb to one. More than thirty years ago Nobel Laureate, Linus Pauling discovered that vitamin C in large doses alleviated the symptoms of a cold – but what wasn’t known then was that the symptoms we object to: runny noses, coughs and sneezes, are actually part of our immune system’s fight back response, as they all help expel the cold virus from our body, as do the sweats and fevers that accompany flu. 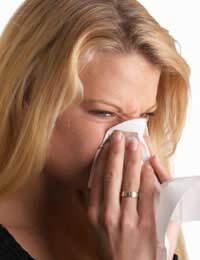 When we develop a cold, the mucous membranes in the nose are suffused with strong white bloods cells that carry chemicals that destroy the virus – sadly, the chemicals cause the mucous membranes to swell and make the nose run. Vitamins such as C and to a lesser extent, A and E, help support us through viral infections in two ways: they support the immune system in its work, but equally, they reduce the effect of its attack on the body’s own tissues and cells. Poor nutrition can cause a weak immune system response, so using the food pyramid to help you boost your immune system is a great investment in your health. Vitamin C, for example, is found in kiwi fruit, oranges, Chinese cabbage and berries – increasing your intake of these foods will massively increase your body’s ability to fight common viruses and infections. The avocado is also a great immune system booster, containing fatty acids, protein and lots of vitamin E.
Bananas, carrots and lentils are all excellent sources of fibre but also deliver B6, a vitamin that helps create the antibodies that fight infections: B6 is especially valuable to those who have weak skin or who work in industries like logging, farming or other outdoor pursuits where hands are constantly at risk of damage. Other good sources of Vitamin B6, which feature as ‘good’ foods in the food pyramid, are tuna and salmon, products made with wholegrain flower and sunflower seeds. Zinc is a powerful immune system supporter and it is found in seafood, eggs, poultry (especially the dark meat of turkey) and pumpkin seeds. Eating to boost your immune system doesn’t require you to make huge changes to your diet, but it could save you from the misery of winter colds.